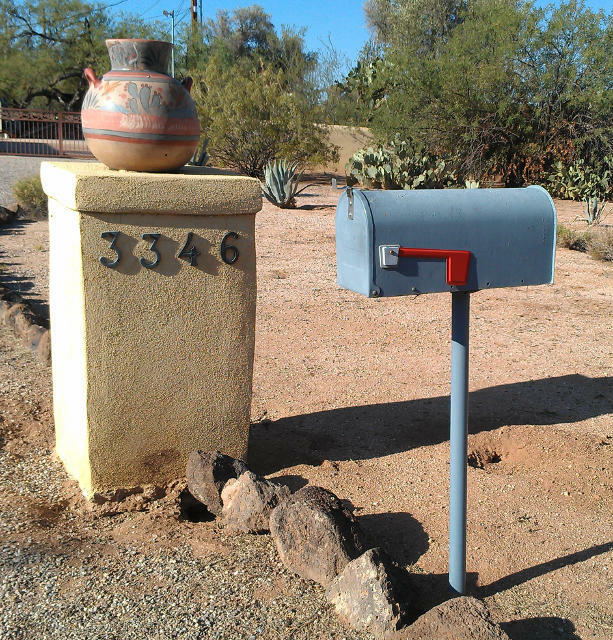 Pots on mailbox posts are nothing unusual here in Tucson. This home, though (in the part of town just north of Reid Park, with large homes on curvy streets) had an unusual combination: a beautiful pot on a nicely-stuccoed post... and, next to it, a plain gray mailbox on a metal post. Maybe it was under construction when I rolled by on May 13th? If you've seen the home since then and have an update, please leave a comment below or send me email. Thanks.